CES 2013: Lenovo show off their new Windows 8 computers! Lenovo IdeaCentre Horizon Table PC. This one is first up because it made us say wow! First and foremost, no you did not read the name of this computer incorrectly, it is indeed an oversized tablet and it's a 27" beast at that! Naturally, this computer is running Windows 8 and the its main selling point is the unique game playing opportunities it offers you. To this end Lenovo has teamed up with the likes of Electronic Arts and Ubisoft to offer games which make use of the touchscreen display, as well as a special collection of games which make use of Lenovo's novel and potentially very interactive accessories, namely the e-dice and four joysticks which come with the computer (pictured below). “It’s exciting to see Lenovo continue to drive innovation and creativity in its new hardware designs. With the 27-inch display, touch UI and built-in battery, the Horizon Table PC enables a range of computing scenarios for Windows users, from PC productivity to social connectivity and family game play.” – Stephen McCall, senior director, OEM, marketing, Microsoft Corp. The computer is configured with NVIDIA GeForce graphics, a 3rd Gen Intel Core i7 processor and Dolby Home Theatre v4 audio. The IdeaCentre Horizon Table PC will be available sometime in the early summer months and it'll set you back $1,699 USD. The Lenovo Erazer X700: One for the gamers! Normally when we hear about gaming PC's we think about Alienware or someone who would build your PC for you like Maingear, so forgive us for being slightly surprised to see Lenovo show off a gaming PC at this years CES. It certain looks the part and there's one thing in particular which might make people sit up and take notice of this machine, but we'll come to that later. So what does $1499 or more buy you these days? Well first up there's dual graphics support, so you can choose either two NVIDIA GeForce GTX660 chips or ATI CrossFireX, or up to dual AMD Radeon HD 8950 graphics. You can opt for configurations which go up to Intel's Core i7 Extreme processor, you'll get 32GB of RAM as standard and you can add up to 4TB of storage to the set up, thanks to the hot-swappable external drive bays. Other than that you'll be getting an optical drive, plus the option to connect up to six monitors at once thanks to AMD Eyefinity technology. The one interesting feature is the option to overclock your computer without going into BIOS through Lenovo's Onekey feature. If your computer is struggling with the game you can bump it up without fiddling around a whole bunch, which is a nice inclusion for gamers who really push their machines! The X700 is set to be release in June and as we said earlier the basic configuration will set you back $1499 and it's only upwards from there! ThinkPad, IdeaPad and All-In-One refreshes! 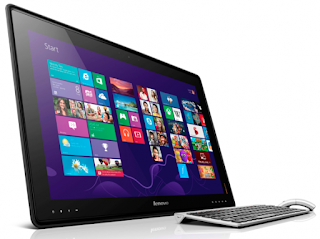 With Windows 8 the touchscreen desktop experience seems to have come of age. It's no surprise then that Lenovo is offering a huge range of these computers. The best thing to do is to have a little look through this rather extensive list here if you're interested in a certain set of innards or you're after one in a specific price bracket, or if you can stand the thought of it, the press release is at the bottom of this page! Just as with the All-In-One computers there is a fair few of these and if you're after a specific device it's best to check them out here for full details! 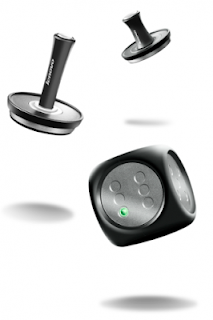 If you're interested in the phones Lenovo launched at CES then check out this link here. Unfortunately none of these phones will be coming to any where except emerging markets! The Full PR is embedded below! LAS VEGAS– January 6, 2013: Lenovo (HKSE: 992) (ADR: LNVGY) today announced its new lineup of consumer and business Windows 8 touch-optimized devices at the 2013 International Consumer Electronics Show. Headlining the collection are new additions to the ultra-portable IdeaPad U Series Ultrabooks™ and the multimedia intensive IdeaPad Z Series laptops as well as new models of IdeaCentre all-in-one desktops, from the sleek and stylish A Series to the affordable and space-saving C Series. "People love touch. It's everywhere in today's PC+ world and is driving new interactions with devices and digital content," said Peter Hortensius, president, Product Group, and senior vice president, Lenovo. "We've aggressively integrated touch across our consumer PCs so that we have one of the largest portfolios of Windows 8 touch products available." The IdeaPad Z400 and Z500 laptops are the latest-generation of the Z Series and optimized for the Windows 8 touch-based user interface. They support 10-point touch, feature specialized stereo speakers for extra bass with Dolby Home Theatre v4 for an immersive sound experience, come with up to 3rd gen standard voltage Intel® Core™ i7 processors and include the latest NVIDIA GeForce graphics technology. These laptops give consumers large 14-15.6-inch touch screen real estate to experience the full power of Windows 8. The backlit AccuType keyboard even lets users comfortably see what they're typing when they're in the dark. latest Intel Core family of processors. The IdeaCentre A730 all-in-one desktop (AIO) combines an optional 27-inch Quad HD (2560x1440) or 27-inch Full HD (1920x1080) frameless display with 10-point multi-touch into an less-than-an-inch thin frame with a widely adjustable screen angle from -5° to 90° so people can use it comfortably in any position. The A730 supports up to Windows 8 Pro, includes choices of the 3rd gen Intel Core family of processors and features large storage options up to 1TB. The Lenovo C540 AIO with an optional touch screen is one of the most affordable and space saving 23- inch touch AIOs for family entertainment. It bundles powerful technologies including a 3rd gen Intel® Core™ i3 processor and NVIDIA GeForce discrete graphics for an affordable computing solution. The ThinkPad Edge E431 and E531 are the first ThinkPad laptops to include Lenovo's all new OneLink technology. Designed to offer simplicity through a single cable connection, the new unique interface eliminates cable clutter without compromising performance. The first device to support the new technology is the new ThinkPad OneLink Dock. Offering superior lag-free graphics and audio performance through native video with dedicated HDMI and audio ports, it can also play host to a number of accessories through four USB ports. This industry unique technology will also charge laptop and mobile devices. Lenovo plans to offer additional OneLink devices in 2013. In addition to touch functionality, the slim ThinkPad Edge E431 and E531 laptops feature improved graphics options for more vivid content on their displays up to full HD and a fivebutton ClickPad lets users control Windows 8 features from the keyboard. The slim and sleek ThinkVision LT1423p Mobile Monitor Touch is Lenovo's next generation mobile monitor that offers extra screen real estate and touch functionality for users who demand more productivity on-thego. Improving from its award winning predecessor's innovative design, the LT1423p will be available in wired or wireless editions and boasts a thin design with a 13.3 inch 1600 x 900 AH-IPS panel protected by Gorilla Glass for an incredibly wide viewing angle and offers a great Windows 8 touch experience. Consumers can even experience touch control gestures on non-touch PCs, and as an added benefit, business customers can take advantage of 10-point touch capability or adopt paper-less commercial transactions by using the electromagnetic stylus. To keep users up and running, Lenovo offers a full suite of services including In-Home Warranty upgrades for service at the owner's home or business, and Accidental Damage Protection on select products to help insure against damage from accidents like drops, spills, electrical surges, or screen malfunctions. Additionally, Lenovo Premium Support's expert technicians are available when needed with convenient over the phone or remote session support from the comfort of home. The IdeaPad Z500 Touch will be available starting in April. Models start at approximately $699. The IdeaPad Z400 Touch will be available starting in March. Models start at approximately $699. The IdeaPad U310 Touch will be available starting in March. Models start at approximately $779. The IdeaPad U410 Touch will be available starting in April. Models start at approximately $850. 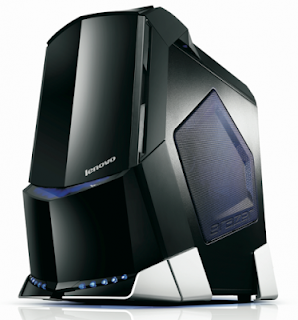 The Lenovo Erazer X700 will be available starting in June. Models start at approximately $1,499. The IdeaCentre A730 will be available starting this in June. Models start at approximately $1,499. The IdeaCentre C540 is available in February, non-touch start at $549. Touch models will be available in June. The ThinkPad Edge E431 and E531 will be available starting in May. Models start at approximately $539. The ThinkPad OneLink Dock will be available starting in May at approximately $99. The ThinkVision LT1423p Mobile Monitor Touch is available Q2 2013 and price will be approximately $349.